Faster Payouts. Faster Deposits. Faster Profits. Use PayPerHead’s agent payment solution to limit losses, increase security, and make more profit. 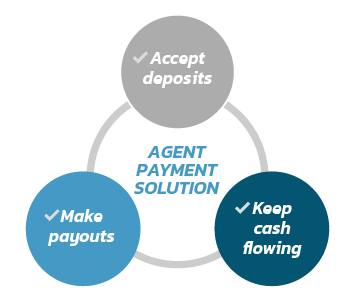 PayPerHead’s Agent Payment Solution provides our agents a single place where they can accept deposits, make payouts, and keep their cash flowing. Our Agent Payment Solution also increases security. There’s no more need to make in-person payouts to your players. Just log-on, open up the Agent Payment Solution page, and pay right through the system. Access your standard account or layoff account. Professionally manage your online sportsbook like the pro pay per head agent you are!